This Military Service Page was created/owned by SSG Trey W. Franklin to remember Easley, Claudius Miller (Speck), BG. 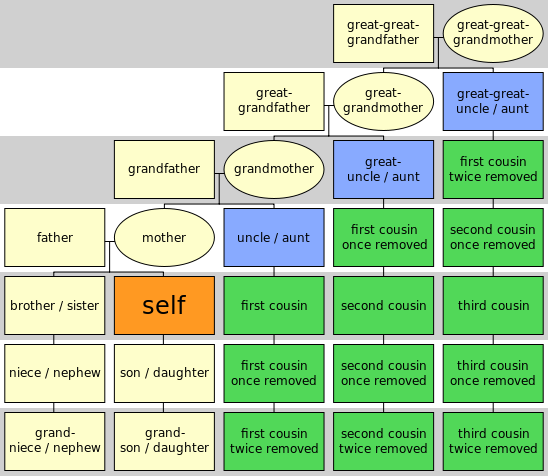 Claudius Miller ("Speck") Easley was born at Thorp Spring, Texas, on July 11, 1891, the eldest son of Claudia Miller and Alexander Campbell Easley. At the age of four he moved with his family to Waco, Texas, where he grew up and was graduated from Waco High School in 1911. While in highschool he enlisted in the Texas National Guard and began a career in rifle-marksmanship by competing in the National Matches at Camp Perry, Ohio, in 1910. He was commissioned a Second Lieutenant on his 21st birthday. He worked his way through the Agricultural and Mechanical College of Texas, and was graduated in 1916 with a degree of Bachelor of Science in Architectural Engineering. Upon graduation he went at once into active service with the Texas National Guard on the Mexican border until he was commissioned in the Regular Army in 1917. It was while serving on the border that he met his future wife, Inez Wickline of Woodville, Texas. They were married in 1917 in Kansas City, Missouri, and had one son, Claudius M. Easley, Jr.
Inez Wickline Easley was born at Village Mills, Texas on November 14, 1895, the younger daughter of Annie Vilular Collier and Henry Hutchinson Wickline. Soon after her birth her family moved to nearby Woodville where she grew up, was graduated from Tyler County High School, earned her State Teaching Certificate, and taught in the high school. She also worked in her father’s bank. Between World Wars I and II, General Easley was a member of the first Basic Class of the newly established Infantry School in 1919 and, over the years, also was graduated from the Advanced Course of the Infantry School, the Command and General Staff College and the Army War College. He served with the 37th U.S. Infantry Regiment on the Mexican border and at Fort Wayne, Michigan, the 31st in Manila, Philippine Islands, the 4th at Fort George Wright, Washington, and the 30th at the Presidio of San Francisco, California. 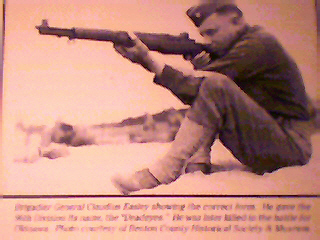 He was an instructor in the Weapons Section of the Infantry School 1930-1934, commander of the Los Angeles District of the Civilian Conservation Corps 1936-1938, and captain of the Infantry Rifle and Pistol Teams in 1937, ‘38, and ‘39. He had one tour of duty on the War Department General Staff 1940-1942. Soon after the United States’ entry into World War II, General Easley took command of the 325th Infantry Regiment of the 82nd Infantry Division. He left that unit to become the Assistant Division Commander of the 96th Infantry Division at the time of its activation in August, 1942, at Camp Adair, Oregon. The division gained the connotation of the "Deadeyes" because of the high level of marksmanship it achieved through the training directed by General Easley. Meanwhile, Mrs. Easley was contributing many hours per week as a Red Cross volunteer and in canteens where she helped with refreshments and played the piano for songfests. General Easley went overseas to the Pacific Theater of Operations with the division in the summer of 1944, and Mrs. Easley returned to her permanent residence in Washington, D.C.
"For Exceptionally meritorious conduct" General Easley was awarded the Legion of Merit at the close of the Leyte campaign during which he had been wounded by sniper fire and awarded the Purple Heart. On May 8, 1945, he was awarded the Silver Star for gallantry in action on Okinawa Island. On June 19, 1945, he was killed in action while directing fire on the last enemy positions on the island. Reburial services were held in Arlington National Cemetery on February 23, 1949. On April 21, 1946, his college awarded General Easley, posthumously, the degree of Doctor of Laws. Mrs. Easley went to College Station to receive the degree which was presented by General of the Army Eisenhower. On March 26, 1951, the Infantry School named EASLEY RANGE in honor of General Easley’s contributions to the development and improvement of small arms marksmanship. Inez Easley died on June 24, 1979, in Washington, D.C., and was laid to rest beside her husband. 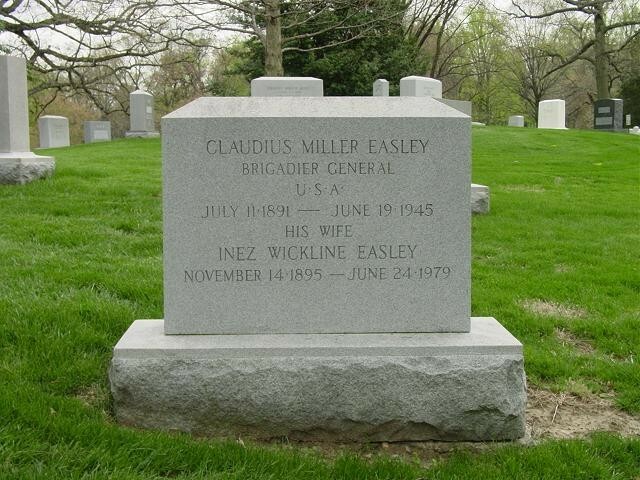 NOTE: The General's son, Claudius Miller Easley, Jr., Lieutenant Colonel, United States Army, was buried in Arlington National Cemetery on 29 Decembe 2006.